The beat went on for Birkenstock in 2017, marking the brand’s fifth straight year of explosive growth. It’s impressive for any brand, and especially one long criticized for failing to capitalize on the many times it cycled back into fashion. No longer, as David Kahan, CEO of Birkenstock Americas, reports the brand met all its targets financially and operationally, “far exceeded” expectations on the new initiatives introduced last year and is positioned for continued growth in 2018 and beyond. 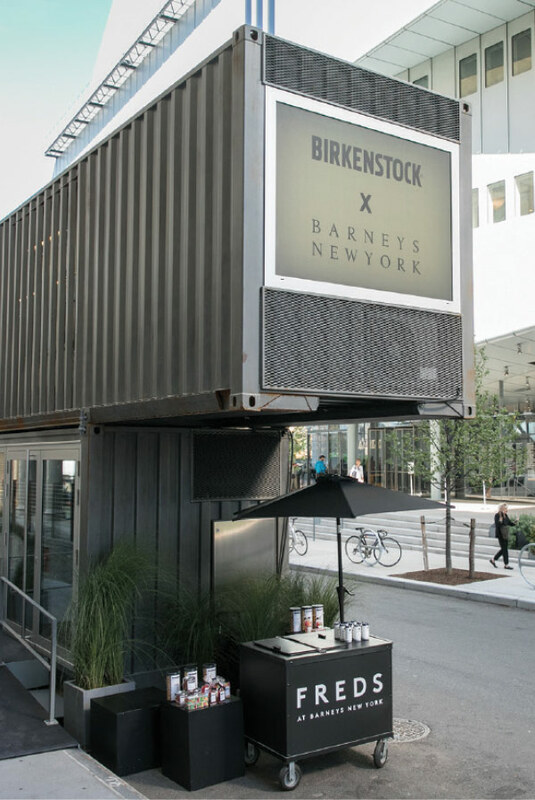 The Birkenstock Box x Barneys, a version of its mobile pop-up concept making customized stops around the world. Cliff Sifford, president and CEO of Shoe Carnival, a 400 or so store chain based in Evansville, IN, says it’s a good time of late to be a family shoe format—particularly one not heavily based in malls. As those white elephants continue to bleed traffic amid department store closings that are dragging down many interior-based formats with them, consumers increasingly have been shopping elsewhere. In the case of Shoe Carnival, which has a mere 22 mall-based outlets, the chain’s business picked up as 2017 wore on. The first half of the year was flat on comps—the new up amid the retail upheaval—and the chain followed that with solid growth in its all-important back-to-school third quarter. Net sales increased 4.7 percent and comparable store sales were up a healthy 4.4 percent in that period. Sifford credits much of the success to the buying team’s ability to identify key categories and items and then owning them. “Our customers already recognize us as a place for value, so when you have the best categories and items of the season in-depth, they’re not going to be disappointed when they come into one of our stores,” he says. As for key categories, athletic was tops and running silhouettes set the pace. “Back-to-school was driven by athletic, and Nike, Adidas and Puma were the key brands that our buyers zeroed in on,” Sifford says. While not necessarily a new tactic, Sifford believes the add-on sales effort is particularly of interest to Millennials as is Shoe Carnival’s overall vibe. “The Millennial consumer is always looking for an experience, and we give them that,” he says. “Our music is upbeat, we run targeted promotions while they’re in the store and we have pop-a-shot basketball hoops in all of our stores to take a break from shopping or entertain kids. It’s an experience; there aren’t many shoe stores like ours.” Nor are competitors of similar size. Shoe Carnival stores average about 11,000 square feet, while the nearest competitor averages around 6,000 square feet. “That extra square footage allows us to include Nike shop-in-shops in many of our stores, workwear shops in blue collar locations and accessory shops,” Sifford says. Sifford also believes fewer, better stores is a part of Shoe Carnival’s holistic, customer-centric approach. Over the past two years, the chain has opened 38 stores and closed 35 underperforming ones, and the plan this year is to open approximately three outlets and close between 30 and 35 stores. “We decided to take a year off and let this so-called Retail Apocalypse settle down,” he says. “We don’t want to sign long-term leases if the co-tenants might go away.” Besides, less has been more profitable. “As we move out of stores that aren’t driving comps, it’s helped us transfer more business to our stores within the market and eliminate that loss,” he says. “It’s also made those stores bigger destinations.” —G.D. 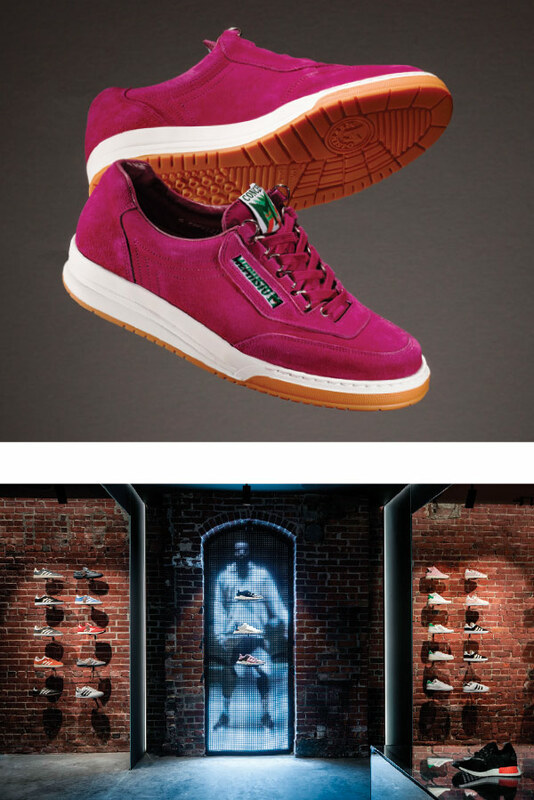 Top to bottom: The Mephisto x Concepts “Match”; inside the first-of-its-kind Adidas x Concepts boutique in Boston. While many retailers in 2017 downsized store counts, whittled down selections and played it safe to weather the storm, Concepts continued to do what it has done for more than 20 years: take chances, create memorable moments and score a few firsts. The Cambridge, MA-based chain celebrated the successful one-year anniversary of its Dubai outpost in the Middle East, opened the first-of-its-kind Adidas x Concepts boutique in Boston in the summer, revealed news of its Shanghai store opening for this summer and, as usual, delivered an array of exclusive collaborations throughout the year that legions of voracious sneakerhead fans snapped up in seconds. What Retail Apocalypse? In the meantime, Point says Concepts will continue to push the envelope and stay at least one step ahead of the competition. That’s the Concepts difference in a nutshell: Rather than react to market conditions, the chain has stayed ahead of the curve and created new markets—just like it did nearly a decade ago when it was the first to merchandise luxury brands like Gucci and Balenciaga alongside the likes of Vans and Nike. 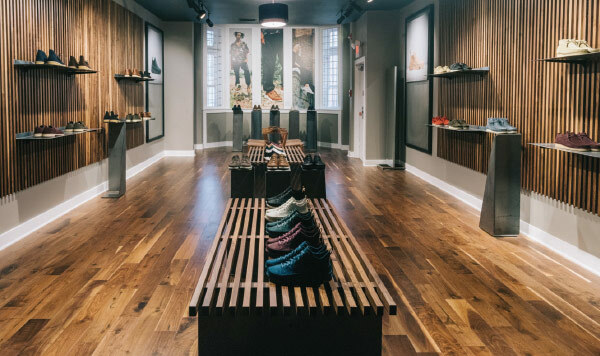 That has become the norm across retail—as has the sneaker boutique format Concepts is credited with inventing. Beyond that, how many retailers can report expanding their footprint, introducing groundbreaking concepts and significantly growing sales over the past two years—and expecting to do it again in 2018? Concepts can. “We’re always planning ahead, trying to figure out where the market is going, to what extent we play in it and finding ways that make sense for customers to come shop with us” Point says. “At the same time, we also have a game plan that doesn’t need to conform to anything that is going on currently in fashion or otherwise.” —G.D. Top to bottom: The classic Superstar and the Tennis Hu x Pharrell Williams. Adidas was feeling mighty “Happy” again by the end of 2017. The powerhouse brand continued to plow ahead on growth and overall brand awareness, Retail Apocalypse be damned. 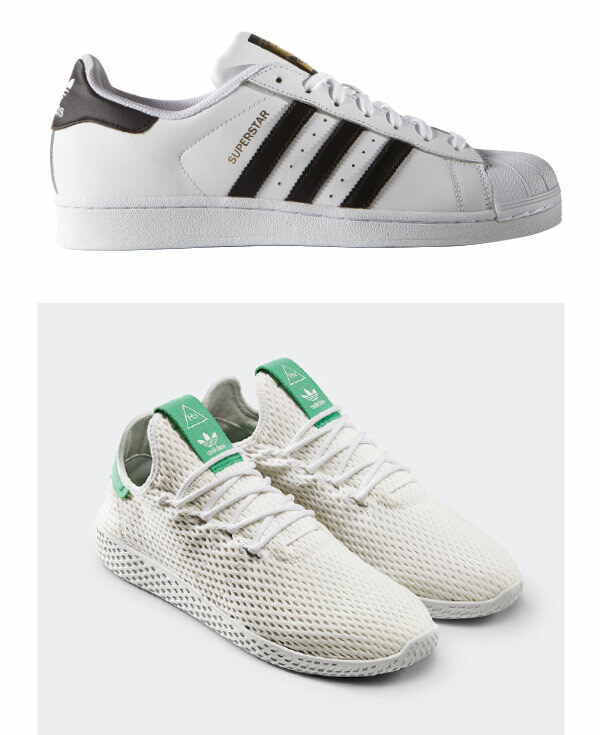 In fact, since the relaunch of the Stan Smith in 2014, the brand’s broad lifestyle mix has been at the forefront of the athleisure movement with a range of spot-on casual athletic styles, exclusive collaborations and more rebirths of its classic silhouettes that have landed onto the feet of influencers, celebrities and millions of followers and fans worldwide. Adidas decision to zero in on the sportswear as fashion and not necessarily performance has resonated with consumers, according to Matt Powell, vice president and senior industry advisor for The NPD Group. “We’re in a cycle where performance footwear is not driving the market, and it’s more about sportswear products that draw their aesthetic from performance,” he says. “For stylish shoes that feel and look like sneakers, Adidas is on top of the game.” In fact, Powell says 2017 was the first time in memory that Adidas had two shoes (Superstar and Tubular Shadow) ranked in the retail tracking agency’s Top 10 selling styles for the year. What’s more, Powell reports the brand overtook Jordan Brand as the No. 2 brand for sports footwear. Keeping Adidas at the top of the sneaker game is the brand’s numerous collaborations last year, with Adidas Originals = Pharrell Williams a standout. Perfectly mixing sport and lifestyle, Williams raised his game by centering on the importance of positivity, even naming the signature style the Hu, based on the first syllable of “human.” In the age of emotional marketing campaigns, the “Happy” songwriter’s thoughtful approach to design with a big picture message resonated with consumers. “He merged the worlds of sport, culture and lifestyle together by creating an Adidas Tennis Hu collection with a campaign that encouraged the world to let their voices be heard by delivering personal messages that inspire change through love,” Naderi-Nejad says, adding, “Pharrell is an influential creator in so many ways, and his ideas and inspirations permeate the culture, resulting in true connection with consumers.” While not a huge contributor to Adidas’ overall bottom line, Powell concurs that collaborations like Williams’ delivers on increased brand awareness. “Pharrell brings fresh point of view, use of color, sense of humor and compassion in what he does,” he says. While music has been a part of Adidas’ ethos since its partnership with Run DMC, Naderi-Nejad believes sport style and music go hand-in-hand today. “These artists bring their creative vision to the brand in an organic, relatable way resulting in exciting projects that continue to shape the industry,” he says, adding that partnerships with musicians Kanye West and Pusha T also continued to fuel Adidas’ street cred last year. Toss in the collaborations with fashion designers Raf Simons, Stella McCartney and Rick Owens, and it’s easy to see how the brand is expanding its demographic at both ends of the spectrum and with both genders. Fittingly, the first-ever Plus Award for design excellence in the Insoles category was won by the industry’s leading supplier, OrthoLite. The company’s insoles, led by its exclusive cell foam technology, are found in more than 500 million shoes across all categories each year. Brand partners include Nike, Adidas, Clarks, Converse, Reebok, Kenneth Cole, New Balance, Timberland, Tory Burch, Johnstone & Murphy, Wolverine, Rockport, Ecco and Vans. 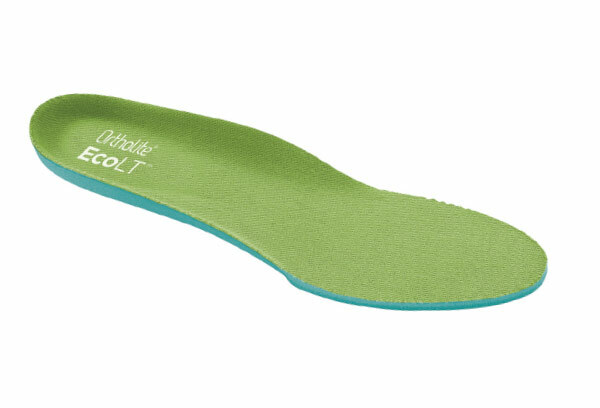 In addition, OrthoLite produces its own collection of over-the-counter insoles as consumers increasingly understand the value of customized inserts for wellness and comfort. OrthoLite is even the official insole of the New York Yankees and its partnerships with Girls on the Run and the American Trail Running Association further push the importance of support and cushioning as well as OrthoLite’s brand awareness. Barrett credits the growing awareness among consumers for helping increase sales of OrthoLite insoles of late, as well. What used to be viewed an afterthought in footwear is becoming a centerpiece of the selling equation. Consumers are learning more of the huge difference the right (often customized) pairs of insoles can make. It can be the difference between pain and misery and being able to walk around all day without any discomfort. Retailers are also recognizing the add-on sales potential over-the-counter insoles offer. As margins on shoes get tighter, sales of insoles can be the difference-maker to coming out on the right side of the weekly ledger. “With step-in comfort being so important today at retail, it’s vital to understand that the comfort attributes as well as the fit delivered by OrthoLite will remain for the lifetime of the shoe,” Barrett says, noting that the insole is the most important comfort component of a shoe. “This drives value, sell through and consumer loyalty to the brands we work closely with,” he adds. Barrett cites OrthoLite’s focus on sustainability in both manufacturing and technology as another attractive selling point, especially for Millennials. Since the company was founded 20 years ago, every formulation OrthoLite develops has included at least five percent recycled rubber, which also provides its signature speckled look. That percentage adds up to more than 300 metric tons of recycled rubber annually, helping to reduce OrthoLite’s carbon footprint. As for notable product introduction in 2017, OrthoLite launched the XSeries, an expansion of its X40 high-rebound technology featuring 40 percent elasticity. In addition, the X25 and X35 high-rebound solutions enable brand partners to tier their performance story while providing consumers with high-rebound options across multiple categories and price points. Also new in 2017 was the EcoLT collection, which combines six percent bio-oil content made from OrthoLite’s proprietary castor oil formulation in addition to the existing five percent recycled rubber content in every insole. An added bonus of these product breakthroughs was OrthoLite’s ability to seamlessly integrate them in its existing stable of product offerings. “These new innovations were rolled out at cost neutral to our partners, enabling them to expand their sustainability story into new prices or categories,” Barrett says, adding that it’s another example of how the company leads by example. 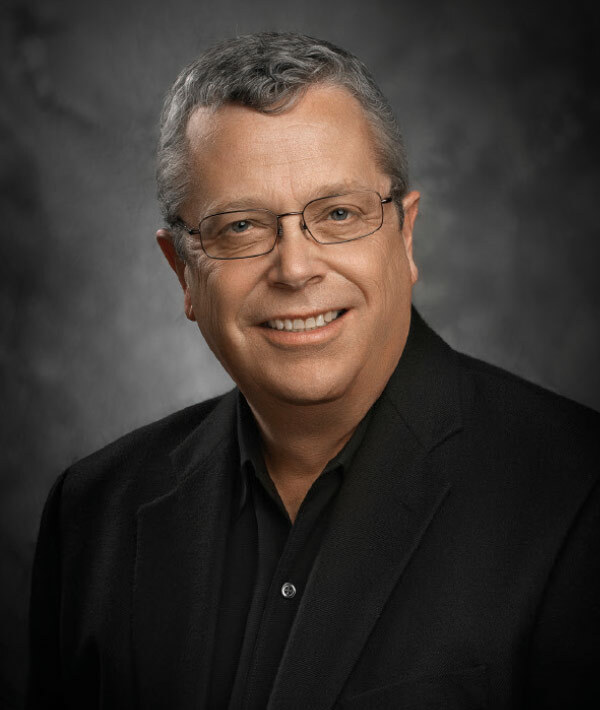 “OrthoLite has stood out as both a category creator and a premium leader, and our brand is recognized for both quality and performance,” he says. “Our goal is to over-deliver on our promise to provide the most comfortable and best-performing insoles in the world, providing a cooler, drier, healthier and more comfortable interior of the shoe.” —A.J. The Footwear Etc. merchandise mix in 2017 went narrower and deeper on established premium comfort brands. In a year where flat was the new up across retail, Footwear Etc. was one of the few fortunate enough to be flat. The company’s ability to sustain sales comes on the heels of four straight years of solid comp store gains (upwards of 19 percent) and overall growth that saw expansion of the California-based chain from seven doors to 14 by the end of 2017. President and CEO Andrew Monarch says the tough slog last year prompted the chain to refocus, retrench and renew—and rediscover much of what fueled its success in the preceding few years. Efforts included plenty of behind-the-scenes upgrades, led by the decision to decentralize shipping and receiving. That was a big deal, according to Monarch. For the past 30-plus years, it had been done through a centralized warehouse. “The change enables our stores to receive merchandise directly from vendors and, in turn, customers can get shoes faster,” he says, noting it’s cut out a day or two on delivery times. “Now if we get an order at 3:15 in the afternoon, it can go out within 10 minutes directly to the customer,” he adds. Additional backroom upgrades at Footwear Etc. last year included installation of a new software system with integrated POS, CRM and inventory management that is cloud-based and on iPads; segmenting customer database and marketing to deliver a relevant message to customers that is in line with what they buy, at which store and when they like to shop; and participation in cause-related marketing events, like donations in partnership with Naot to victims of the state’s devastating wildfires last fall. Tough overall market conditions aside, Monarch remains a firm believer in brick-and-mortar retailing and in the continued success of Footwear Etc. He chalks last year up as a good learning experience. “Even after all these years, we’re always learning,” he says, adding that expansion is on the agenda. 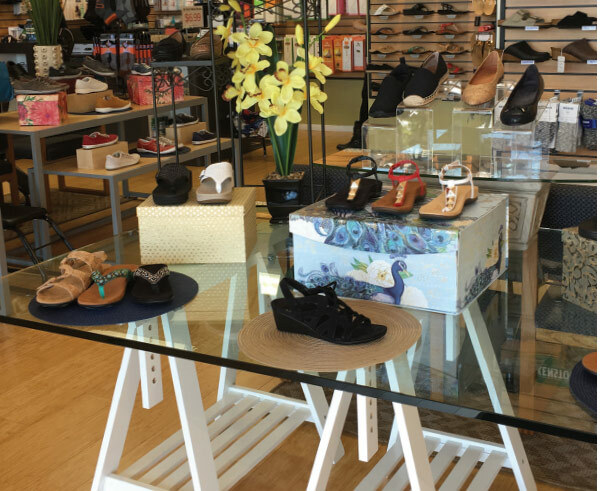 Last year, the company acquired Walkabout Footwear in Walnut Creek, and the plan is to add a couple of stores to go with the chain’s recent expansion into the San Diego market. “We like to have three- or four-store pods so we can share labor and inventory,” Monarch says. “Next year, we’ll probably add second and third locations because we think there’s growth potential in Southern California.” —G.D. 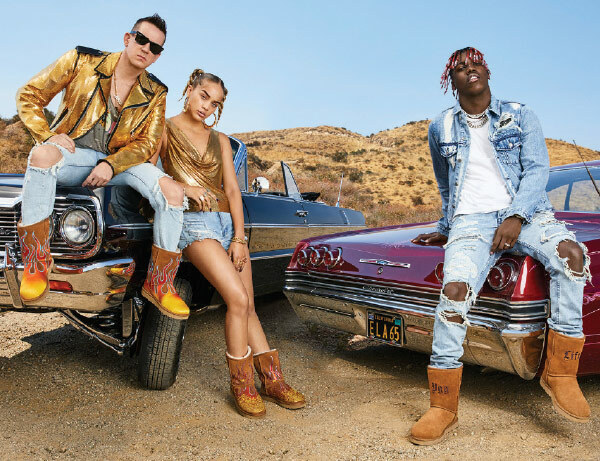 That iconic yellow boot, style 10061, has been the cornerstone of Timberland’s footwear business, and last year was no exception. The waterproof style was the focus of its “We Built It. You Made It” multi-media campaign, celebrating the people who helped build it, according to Tracy Smith, vice president and general manager of Timberland North America. It also continued to get fun makeovers to keep the silhouette fresh, like the women’s luxurious velvet details in seasonal holiday colors. 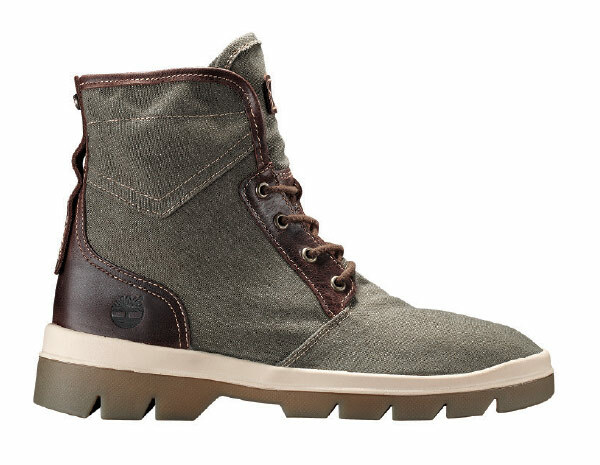 Timberland was also inspired to relaunch its 1978 Hiker and original World Hiker styles last year. The company collaborated with influential brands such as Supreme, Off-White and OVO, resulting in “some of the most sought-after boots of the year,” Smith declares. Another unique partnership in 2017 revolved around its eco-friendly “Earthkeepers” collection. Together with Thread, a Certified B Corporation that transforms plastic bottles from the streets of Haiti into fabric, Timberland introduced a collection of footwear, apparel and accessories. But 2017 was not just about retro styling or being green. “Key technologies like SensorFlex showcased a creative approach to flexibility,” Smith says, adding that the design team integrated across the line. “From sport-inspired styles with athletic white outsoles to rugged boots and casual footwear, SensorFlex provides the ultimate in versatility,” he adds. Timberland produced a series of videos with professional dancers to showcase the lightweight flexibility of the select styles. “The national campaign created dramatic and powerful imagery that came to life in [magazines such as] GQ, on trains and buses, and through robust digital media activations, including interactive mobile ads that invited consumers to test the flexibility of the technology on their smartphone,” Smith says. 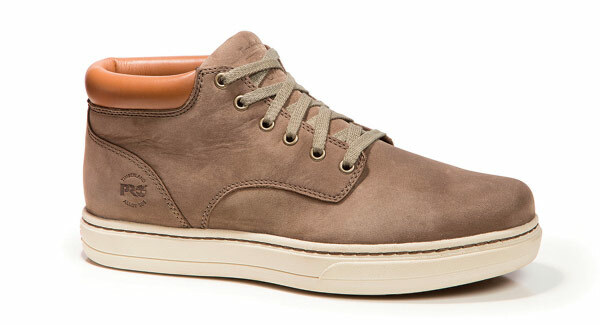 Last spring, Timberland also debuted a revolutionary lightweight outsole technology called the Aerocore energy system. “Crafted with boot toughness, this aerodynamic system blends athletic-inspired design that cushions and energizes so you can be lighter and faster on your feet,” Smith says. The FlyRoam collection with Aerocore resonated among men’s, women’s and kids’ for its rugged appeal blended with a casual, street style, he adds. “Consumers also loved the statement-making men’s Britton Hill collection with SensorFlex and its timeless leather uppers and incredible comfort,” Smith adds. Last year was also the year of the woman for Timberland. The brand continued to introduce more feminine silhouettes that are beautiful, timeless and distinctively Timberland, yet with a modern, classic and season-less look, according to Smith. Ugg, a division of Deckers Brands, got its mojo back as 2017 wore on. Coming off a bit of a lull, the brand experienced a 4.3 percent net sales gain in the third quarter (ended Dec. 31, 2017). CEO Dave Powers cited “refined product categories, enhanced consumer messaging and wholesale account optimization in much stronger full-price selling across the portfolio during the holiday season” for contributing to the success. Plus, it got cold early across much of the United States this past winter, and that helped the sheepskin-based brand. What’s more, wool as a material statement is trending strong. Think Allbirds and think Ugg, the brand that made the material a footwear staple. Here, O’Donnell discusses further why Ugg clicked with consumers in 2017. —M.S. What were product highlights last year? Last fall, we launched designer collaborations with Jeremy Scott in women’s, men’s and kids’ and 3.1 Phillip Lim for men. Both designers put their own spin on our iconic Classic boot. Jeremy applied a custom flame design inspired by old Hollywood hot rods and Phillip featured a functional zipper on some styles, which was taken directly from his ready-to-wear collection. For our women’s core collection, we introduced our Classic Waterproof Collection. Consumers’ favorite silhouette offers a new level of functionality. We’re always finding ways to reinvent and innovate through design in our Classic boot and slipper categories. We’ll continue to create beautiful styles that are distinctively Ugg. In men’s, boot category highlights were our Neumel sheepskin chukka boot and Harkley, the hi-top iteration of the Neumel. Combined, these two styles contributed a 44-percent sales increase in our men’s line. We also introduced waterproof iterations of both styles, which contributed a 16-percent increase to overall sales. These styles are an opportunity to grow our business domestically and internationally. Younger male consumers are responding on their own to Ugg of late. The styles performing best have been in the line for years, and the consumer is discovering and making them their own in a very cool way. We see unlimited potential in our men’s classic and slipper categories, as well. What were some other hot items that debuted last year? Our Gita boot, an iteration of the Classic adorned with Toscana fur pompoms that targeted a younger consumer, performed very well. Also, our core sheepskin slippers Tasman and Coquette in dark olive and garnet, respectively, did exceptionally well. 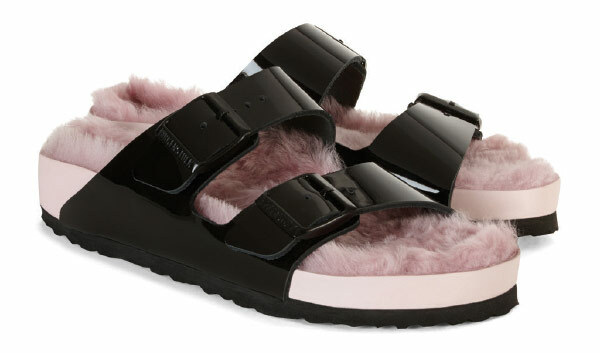 The indoor-outdoor slipper trend is very big, and these styles thrive because of it. Additionally, our tried-and-true Butte cold-weather boot was a standout last season. Despite a tough year industry-wide, why did Ugg rise above it? Our point of difference is that there isn’t another brand like Ugg. Our heritage and quality make us one-of-a-kind. Ugg is a staple of consumers’ wardrobes. In addition to mastering the online shoe retailing basics, Zappos continues to think outside the (shoe) box. The company installed a 25-foot-long aquarium in its employee nap room and CEO Tony Hsieh’s vision (began in 2012) to create a community-focused city built around its downtown Las Vegas headquarters is becoming a reality. Zappos also just entered a partnership with Caesars Entertainment to open the Zappos Theater at Planet Hollywood Resort & Casino. The aim is to connect with consumers on a deeper level while staging A-list entertainment. —M.S. While Joules has since expanded its offering to include outerwear, clothing and accessories, rain boots remain its bread and butter. 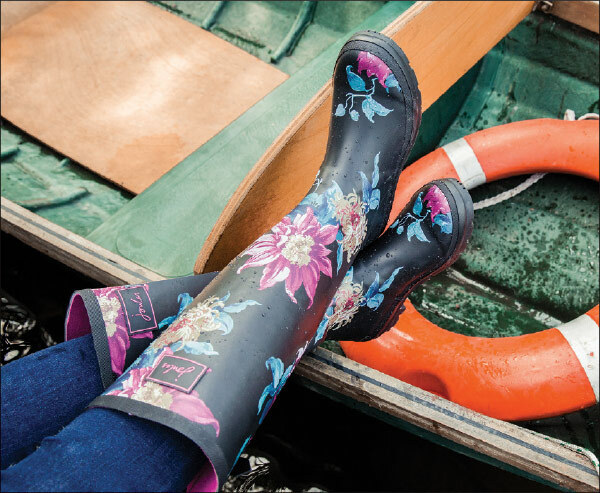 “Rain boot sales have grown significantly worldwide as people learn more about us,” says Bil Waring, senior footwear buyer, adding that the outlook for growth remains strong for this year. “We’ve already had a tremendous response to the start of 2018 and look forward to the next steps in expanding our footprint here,” he adds. Joules’ extensive product range is a big draw for consumers as well as the quality at affordable price points, according to Waring. He adds that the success also stems from strong customer engagement that begins in the U.K. “We’re highly engaged with our customer and listen to them because they will tell us what they want,” he says. “When we launch a collection in the U.S., it’s tried, trusted and fit for purpose.” Adds Wood, “Our range of rain boots make our customers smile. They are subtle in their way but are based on our true heritage as an outerwear brand.” —A.J. It’s fitting that the winner of the best collab category for 2017 went to a couture/streetwear blend—a sure sign of the times. Athleisure dominated both sidewalks and catwalks last year, and Vans’ array of trendy collabs with many of its classic styles was at the tip of this spear. Notable drops included Peanuts, Brain Dead, Alyx, Barneys and Opening Ceremony, to cite a few, but the one that stood out the most and caused the biggest stir was its partnership with legendary designer Karl Lagerfeld that hit the market in September. 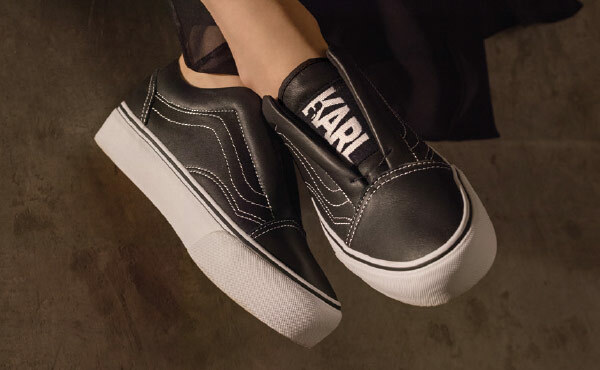 The Vans x Karl Lagerfeld collection ($40 to $300 SRP) featured 12 apparel items and six shoe styles, including the debut of the SK8-Hi Laceless and the Old Skool Laceless platforms, both outfitted in luxe leather with K-quilted stitching atop white soles. Rounding out the collection was a black leather Classic Slip-on finished with K-quilted details, the Old Skool and Sk8-Hi Reissues in premium leather and outfitted with bouclé fabric quarter-panels atop a black outsole, and the legendary Checkerboard Classic Slip-on remastered with a Vans x Karl Lagerfeld cameo print. “We incorporated some of Karl’s timeless design elements, like boucle fabric and K-quilted stitching, onto the shoes while the apparel sticks to his famous black-and-white palette,” Dita says, adding that the response was fantastic. “The collection did incredibly well! Most styles sold out within minutes on Vans.com, and we had great sell-through at select retailers.” —A.J. The second major area that led to Timberland Pro’s success last year was meeting the demand of greater numbers of women getting into labor fields. Instead of the “shrink and pink” strategy, however, Timberland Pro hired a female designer to create a last expressly for women. The HighTower women’s collection launched last fall. These 6-inch work boots feature anti-fatigue technology and polyurethane footbeds with dynamic arches, premium full-grain waterproof leather uppers, an alloy safety toe, cast-metal hardware and fiberglass shank, and antimicrobial linings. “The eight SKUs are a phenomenal success and far exceeded our expectations,” Ammon says. Timberland Pro also targeted casual Millennial males, many of who may ride skateboards to work. The Powertrain Sport, an athleisure style, was a big success in 2017 as was the Helix HD. “The Disruptor series has all of the safety elements that these guys need for their work in a silhouette that is comfortable for going to the bar with their friends after work,” Ammon says. Lastly, Timberland Pro took pride in its ongoing efforts to give back to communities in need. The brand planned its 2017 regional sales meeting in Puerto Rico so that the 50 employees could fix up an orphanage damaged by Hurricane Maria on the side. For two, 10-hour days, they installed and painted a fence as well as bought the kids a trampoline. Sineni, for one, is excited for Timberland Pro to continue to put its best foot forward, because once they wear a pair, “We’ve got them for life.” —M.S. There were four standout collections, according to Daher. The men’s line was led by Total Motion Fusion/Classic Dress, which is an everyday business shoe that delivers mobility with premium comfort and looks spot-on with jeans or khakis and a sports jacket. The collection solves the choice between lightweight and stability, dispersing the bumps (shocks) in the road over a full-length engineered plate. Next up was the DresSports 2 Lite collection, which offers sports shoe comfort and weight with everyday functionality as well as modern, classic dress patterns and finished leathers that transition from day to night. Daher says the collection proved particularly popular among younger consumers who grew up wearing athletic shoes. The shoes feature a lightweight EVA sole with an embedded shank for midfoot support and walkability, performance linings that wick moisture and provide anti-microbial support even during “no sock days” in summer. The Style Purpose collection proved perfect for consumers rediscovering tailored dress options, from modern suiting to stylish jeans. The all-weather rubber soles come in a variety of translucent shades and show off hand-finished leathers that take their cue from bench-crafted, high-end Italian design. For less dressy looks, Rockport’s versatile Colle collection was noteworthy, with simple designs that are tailored yet casual, modern yet athletic. “Premium uppers with flexible comfort and truTECH cushioning technology makes these easy-to-wear styles with cross-generational appeal,” Daher says. To get the word out, Rockport played in the micro-influencing space to attract younger consumers on Instagram. There were three campaigns: “Travel In Style” featuring fall boots, “Fall Activities” with casual/active shoes and “Joy Is Rockport” featuring dress shoes with a focus on its Total Motion collection. Additionally, the company executed a cross-channel holiday campaign, “Joy Is,” where Instagram followers posted comments on what brings them joy during the holiday season and tagged a friend with whom they would like to share it. A winner was randomly selected and gifted a free pair of shoes along with their friend. Chalk it up as another example of Rockport’s relentless efforts that delivered, as men’s sales surpassed projections for 2017, according to Daher. “Our passion has always been building great product that invites consumers to wear it,” he says. “As I walk airport terminals or take a seat on a train, if I mention that I work for ‘Rockport,’ I’m nearly always treated to a passionate story about their experience wearing our brand.” —M.S. Clarks Originals nabbed its second straight Plus Award in this category. Company executives attribute the win in 2017 to a few key factors: intense planning that began back in 2016, which in part entailed a soft relaunch of the brand, a design team that continues to wow and leadership in the form of CEO Mike Shearwood and Gary Champion, president of Clarks America’s, as well as other key members who have returned to the U.S. divison for a fresh approach to future business. It also doesn’t hurt that Manolo Blahnik and Anthony Bourdain are fans of the 200-year-old brand’s iconic Wallabees and Desert Boots. Also of note in 2017 was the opening of the Clark’s Originals pop-up shop inside iconic Philadelphia streetwear boutique, UBIQ. It ran for three months last fall and served as an ideal platform to showcase the breadth of the brand, McRae says. The space hosted several in-store activities, like the monthly “The World Needs Originals” panel series that featured photographers, musicians and artists, who spoke on the importance of originality. Guests also had exclusive access to the first drop in a series of collabs with UBIQ and the lifestyle accessories brand, Pintrill. McRrae adds that the shop was an ideal setting to witness sell-through of the Trigenic Evo. “Being able to introduce a style into the marketplace [and not being] one of the big guys within sneaker culture was fantastic,” she says. Despite a tough year for the industry overall, Clarks Originals had a “fantastic ’17,” McRae reports. The company surpassed its targets. “I’m proud of the product and design team and what they have accomplished,” she says. “They continue to innovate and design and that, combined with some amazing marketing, has enabled us to perform well. We truly are a global team working on a global brand.” —M.S. Few brands are as synonymous with classic women’s fashion than Stuart Weitzman. Since the label’s acquisition by Tapestry (formerly Coach) from Sycamore Partners in 2015 and the retirement of its legendary namesake officially mid last year, collections haven’t missed a beat. The designs are spot-on trend-wise; the quality remains exquisite; it’s the choice of leading ladies such as Taylor Swift, Kate Middleton and Gigi Hadid; and its flagship stores remain ladies-love-shoes destinations on some of the world’s hottest retail strips, including Rodeo Drive, Michigan Avenue and Madison Avenue. It’s a testament to the team, led by CEO and Brand President Wendy Kahn, who took the helm in the fall of 2016. Tapestry CEO Victor Luis singled out Stuart Weitzman’s “solid growth” in its fourth quarter (sales ending July 1, 2017) that helped the company post a double-digit increase in net income for the year. The brand’s sales totaled $88 million, up 15 percent. “We invested in the brand, both in stores and most significantly in people, bringing in the key leadership and design talent to drive performance in both growing the global footwear category and in their nascent accessories business,” Luis stated. The label followed that up with second quarter net sales (period ending Dec. 30, 2017) of $121 million—up 2 percent. Luis gave a shout out to Giovanni Morelli’s creative direction. Sandi Lanier, manager at Monkee’s of the Village in Winston-Salem, NC, reports Stuart Weitzman is a cornerstone. “We’ve had them for 17 years,” she says, citing the trust factor in the label’s quality. “They do terrific in our stores because their shoes fit true to size,” she adds. Stuart Weitzman gives women what they want, agrees Amanda Astor, vice president of stores for The Shoe Box, a six-store chain in New York, Florida and Georgia. The clientele is a mix of women who seek the latest trends and classic styles. “Stuart Weitzman covers both,” she says. Stuart Weitzman’s 5050 and Highland boots were standouts in 2017. Both were top sellers for Lanier, along with the black Tessa and kitten heel Poco pump—perfect for more mature consumers, she says. The 5050 also sold well at The Shoe Box. “The 5050 has grown so much in popularity. It passes between family members because everyone knows it’s a reliable style,” Astor says, adding that the Highland and Lowland boots and anything with pearl detailing also sold well. —AJ. Classic sneaker silhouettes, in particular, worked well for Taos last year, according to Barad. The launch of the Taos Active collection blew out of stores. Led by its Curves and Pods comfort footbed that offers heel, arch and metatarsal support combined with “curves” that hug the contours of the foot and shock-absorbent “pods,” the collection delivered on a sneaker’s expected comfort premise. While the palette of rich earth tones and artisan finishes raised the bar on “sneaker” style. Taos Active has “taken on its own personality” and has become a stand-alone brand, Barad adds. Another factor contributing to the success of Taos is its commitment to putting the needs of its customers first—both retailers and consumers. For example, Taos has one of the most stringent MAP policies in the industry. “We are 100-percent clean and have no issues in the marketplace,” Barad says. “It’s sad that we have to allocate funds to do this, but you have to because it allows our retailers to feel confident about investing in our brand.” Happy retailers are repeat customers. Same goes for consumers. “The most important thing is to make sure the consumer is taken care of and wants to come back to you,” he says. “Without her, you don’t have longevity. “ —M.S.